Many members of GALZ live in urban townships with their families and in crowded conditions. Under these circumstances, it is difficult for them to relax and be themselves. 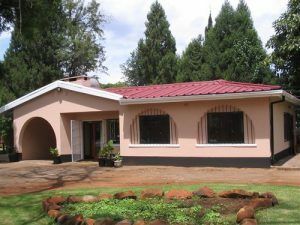 For this reason, the house which acts as the GALZ Centre, and which is situated in the attractive Harare suburb of Milton Park, is a vital safe haven where members can meet each other, establish friendships and express themselves freely. Social events for LGBT and gay-friendly people, including parties, braais (barbeques), take place at the GALZ Centre or in gay-friendly venues. Members are also notified of events organized by others in the community. The Centre’s Library and Video Club houses books, magazines, journals, research studies and films on LGBTI-related themes as well as health and human rights issues. The library is freely accessible to any member of GALZ. The offices of GALZ are also located in the Milton Park house and it is from here that the day-to-day running of the association’s programs of activities takes place.